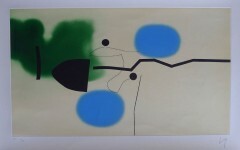 Victor Pasmore, painter, collagist and teacher, was married to the artist Wendy Pasmore, who appeared in some of his early work. He studied at Central School of Arts and Crafts part-time and had begun showing with London Artist’s Association, having his first solo show with it in 1933. 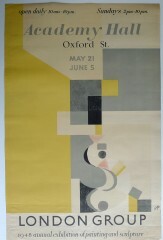 He also began showing with the London Group, becoming a member in 1934. 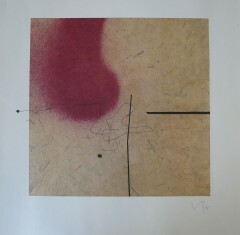 In 1934, he exhibited at the Zwemmer Gallery in ‘Objective Abstractions’. 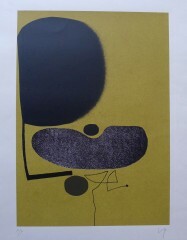 Pasmore taught at Camberwell School of Art, 1943-9, from 1949-53 was the visiting professor at Central School of Art and Design. 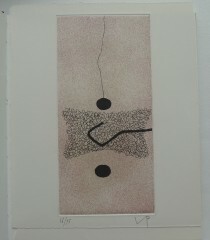 It was after the war , in 1948, that Pasmore’s work shifted from the representational Euston Road style to abstraction, the course he thereafter pursued. In the period 1951-63 began to work on relief constructions. 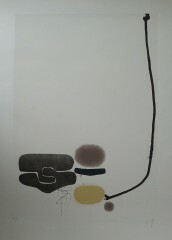 Pasmore’s international reputation grew from 1960’s, including a retrospective exhibition at Tate Gallery and touring, 1965, with a special display at the Tate Gallery, both in 1980. The Tate, Arts Council and other leading collections hold his work. 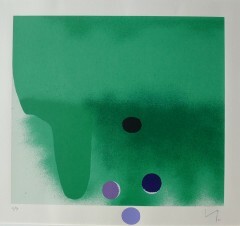 Pasmore, who was made a Companion of Honour in 1981 and was elected RA in 1984, latterly lived in Gudja, Malta, and London.